Custom Shop products are not avaliable online. 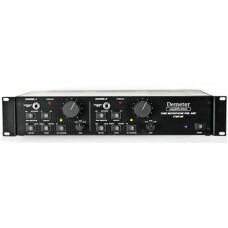 Please call us at 805-461-4100 or email customshop@demeteramps.com for more info. The VTMP-2b Microphone Pre-amp brings out the best in your microphone collection with a clarity, warmth and depth you never realized was possible. The two channel unit is completely tube-based for a distinctively warm, but clean and quiet sound. It is designed to give the recording studio the unsurpassed sound of tube amplification in a package that is convenient to operate and easy to inface with modern consoles and tape recorders. 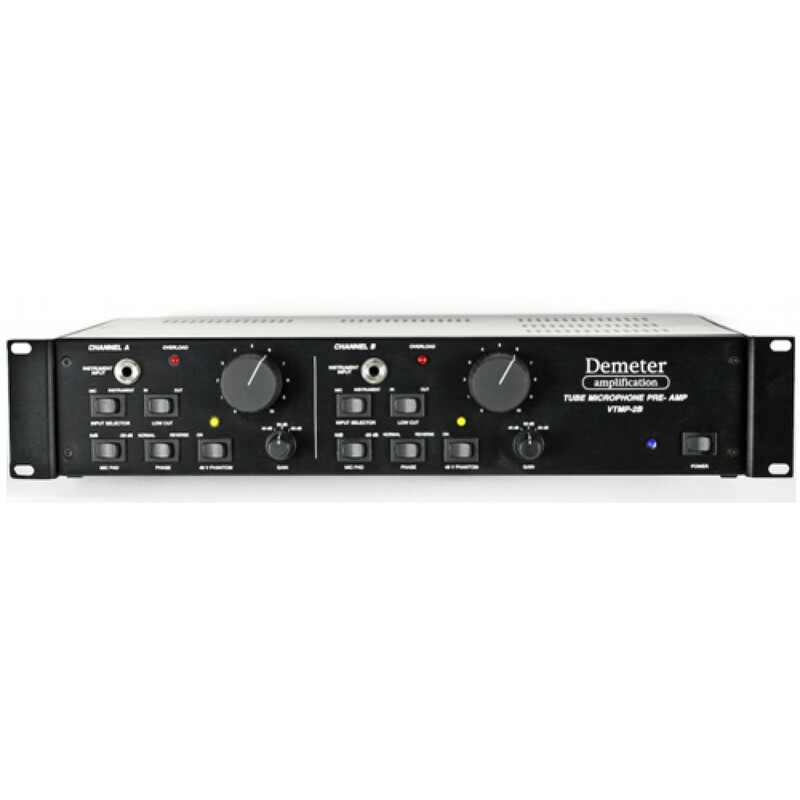 The Demeter Tube Microphone Pre-amp is priced extremely competitively compared to other tube pre-amps, but maintains the hisghest degree of quality. Top producers and engineers have come to rely on the VTMP-2b for its incredible resolution of bass, the way vocals produced on it fit so beautifully in the mix and the almost unlimited other uses it excels in. The Tube Microhpone Pre-amp is typically used to bypass the mixing console pre-amps to provide the shortest possible signal path from mic to tape. This delivers a tremendous increase in fidelity. Built to the exact specifications of the original, using many of the parts kept in storage for the last 10 years. We also added a solid state balanced output for more flexibility as well as keeping the 1/4" unbalanced all tube output. The first 15 units will ue the last of the original Jensen 113 Microphone Transformers that are no longer in production. Each unit will be signed and numbered by James Demeter. Own a piece of audio history at a very reasonable price.